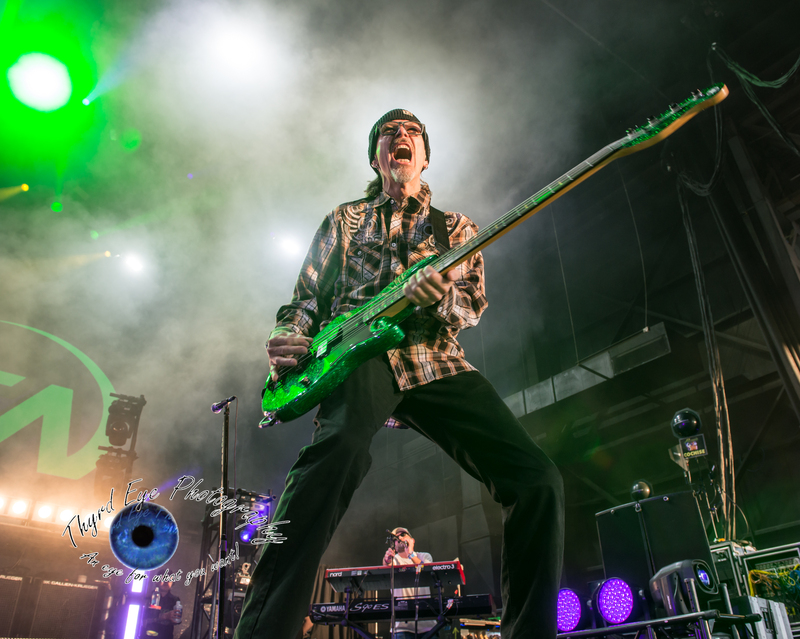 Bobby Dall of Poison performing at Hollywood Casino Amphitheatre. Photo by Sean Derrick/Thyrd Eye Photography. As both an editor and a photographer I get the chance to showcase not only my favorite shots that I took from the past year but those of my staff as well. 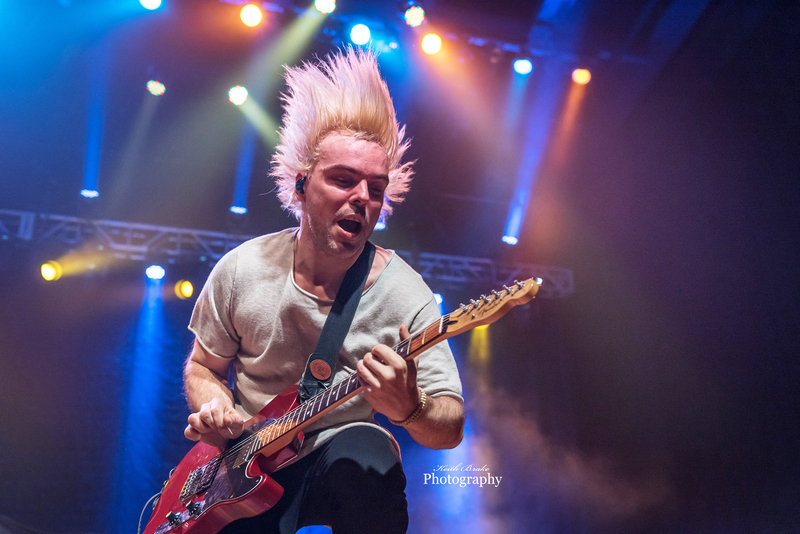 We had some great shows to shoot this past year. Choosing just ten from my own catalogue has been a challenge. BUT, I did it. Here they are, in no particular order (Picking just one photo out of hundreds or thousands is like picking your favorite child…if you have more than one). Do you think one rises above the rest? Comment below and tell me about it. I love this shot. Apart from their fantastic visual show at The Pageant, I just happened to maneuver myself in front of the front center monitor that had their name emblazoned on it when the light went out except for the “A” out of spotlights behind Ian. 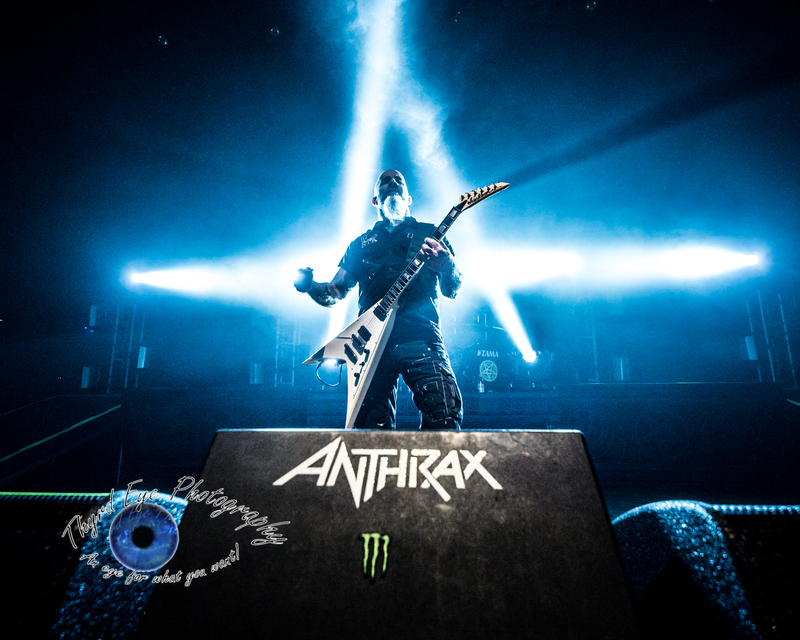 Scott Ian of Anthrax performing at The Pageant in May. Photo by Sean Derrick/Thyrd Eye Photography. 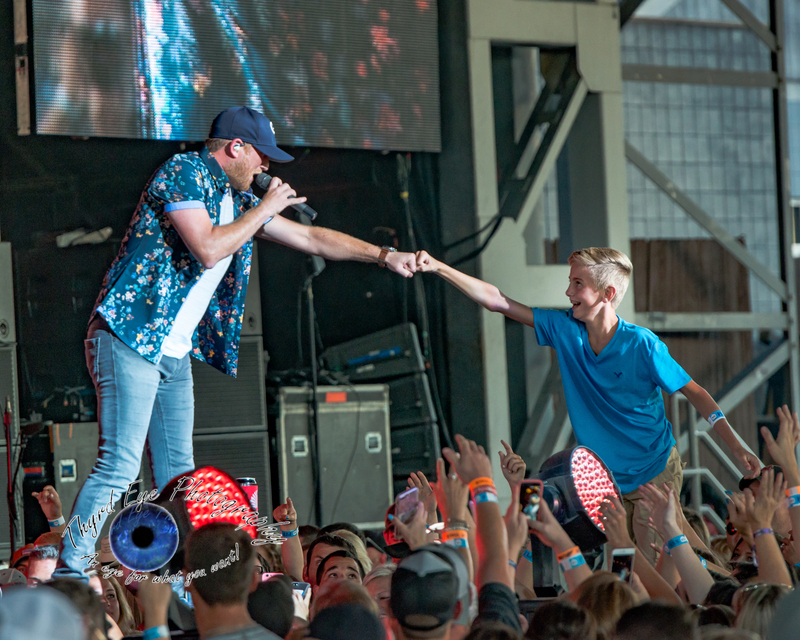 Cole Swindel performing at Hollywood Casino Amphitheatre. Photo by Sean Derrick/Thyrd Eye Photography. 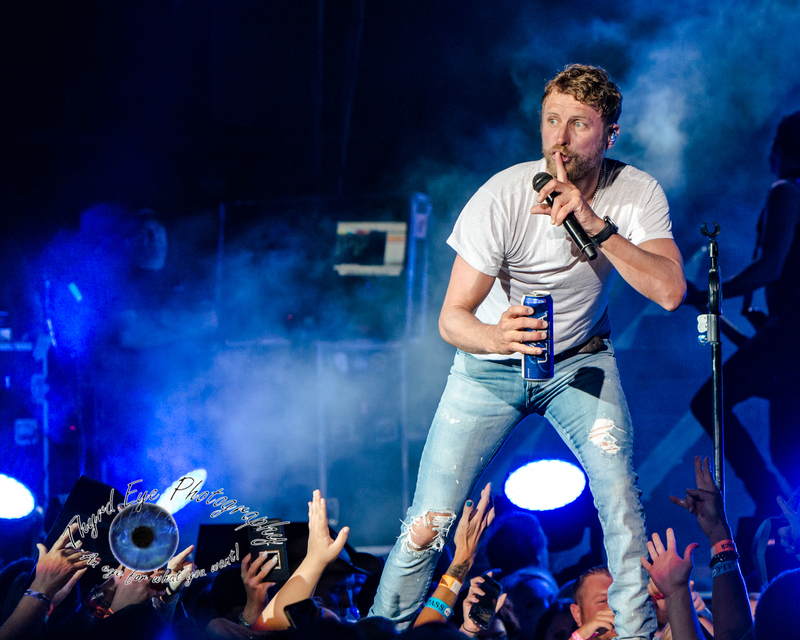 Dierks Bentley performing at Hollywood Casino Amphitheatre. Photo by Sean Derrick/Thyrd Eye Photography. This dude is a bundle of energy and his showmanship abilities are through the roof. I just happened to be positioned at the right spot for this shot at Hollywood Casino Amphitheatre in August to capture a great moment. Kelly Hansen of Foreigner performing at Hollywood Casino Amphitheatre. Photo by Sean Derrick/Thyrd Eye Photography. Oh Axl, Axl, Axl. First there was the Riverport Riot in 1991, then you make us wait 26 years before returning for a 3 hour 30 minute marathon at The Dome at America’s Center in July. Then the first song in this happens. Thankfully, I got the shot. Rock and Roll, baby!!!! 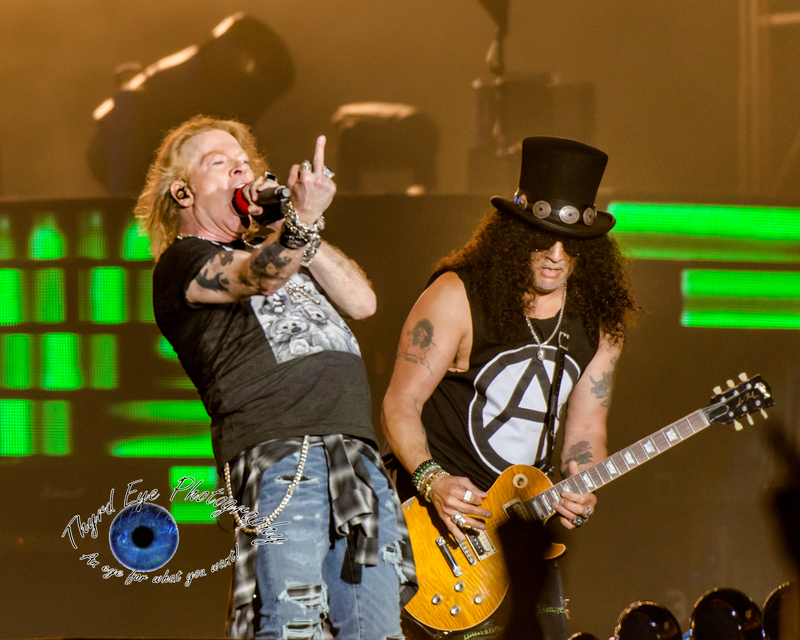 Guns N’ Roses performing at The Dome at America’s Center. Photo by Sean Derrick/Thyrd Eye Photography. 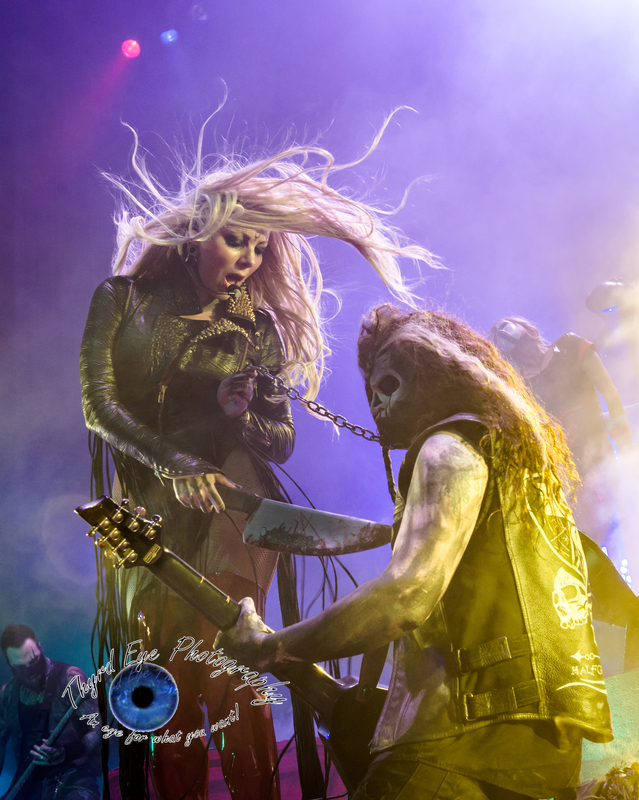 Maria Brink with In This Moment performing at The Pageant. Photo by Sean Derrick/Thyrd Eye Photography. Bret Michaels is still in shape at 54 (much to the delight of the ladies), and his high energy levels at shows are legendary. Here I got him in mid-jump, while wishing I could just jump without hurting myself. 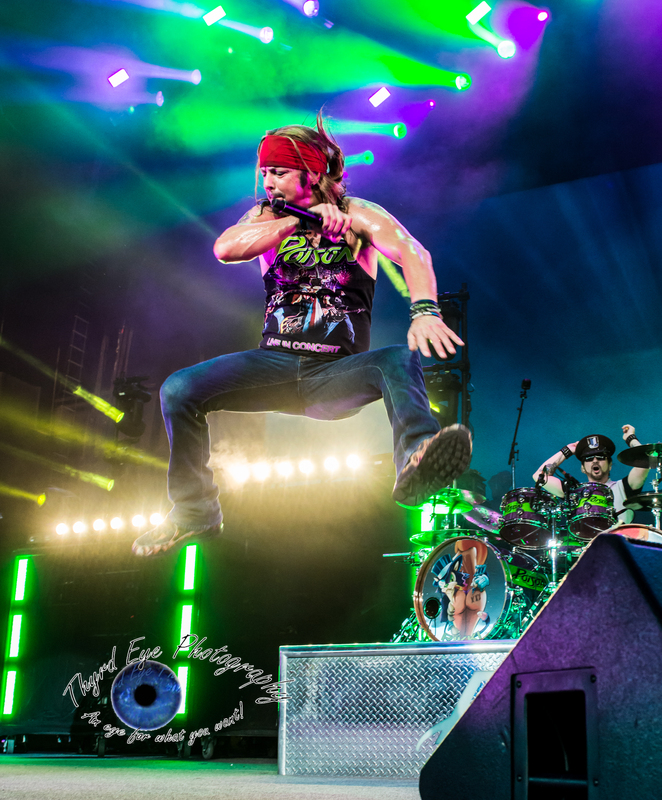 Bret Michaels of Poison performing at Hollywood Casino Amphitheatre. Photo by Sean Derrick/Thyrd Eye Photography. Admittedly, this was the first time I got a chance to catch the great REO Speedwagon live (I know, I know). And boy have I regretted not doing so sooner. 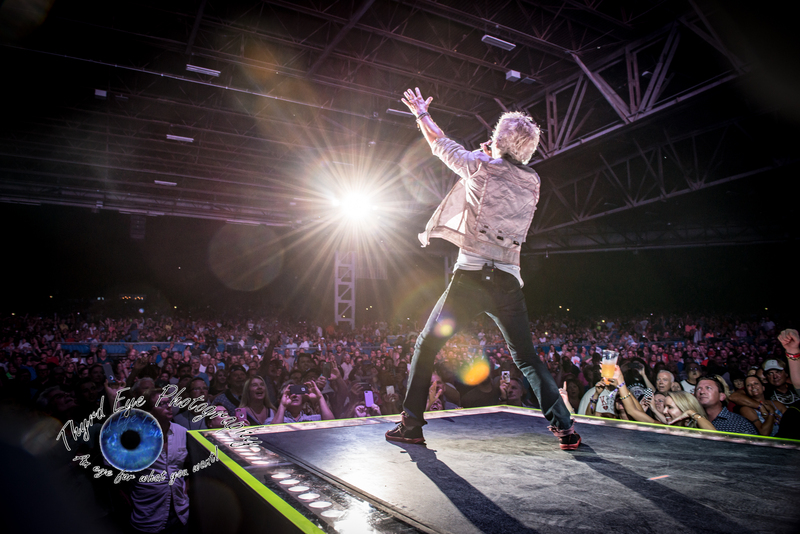 Vocalist Kevin Cronin was a crowd pleaser, and in this shot you could feel the energy from the crowd. Kevin Cronin of REO Speedwagon performing at Hollywood Casino Amphitheatre. Photo by Sean Derrick/Thyrd Eye Photography. This was another act I that had eluded my camera until now, and yet another act that I kick myself for not covering sooner. Rick does this bit where he strums his guitar with a bouquet of roses, causing them to explode and rain down rose petals. I did not know this, but I quickly adapted and got a good position to get the shot anyway when I saw him pick up the bouquet. Rick Springfield performing at Hollywood Casino Amphitheatre. Photo by Sean Derrick/Thyrd Eye Photography. Emma is marvelous in her abilities on the bass as well as the eyes. At each show she is full of energy and loves to hair-whip. Luckily, I have seen her enough times that I can gauge how I want a shot of her to look. And she never disappoints. 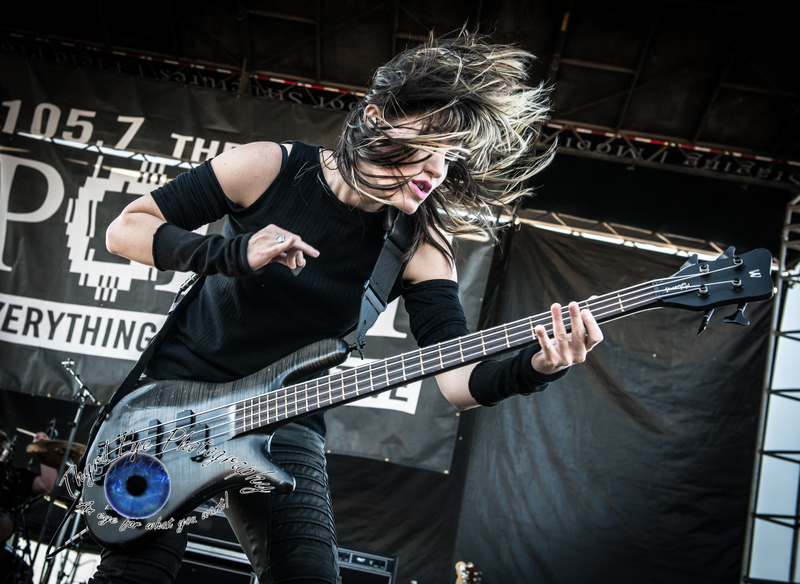 Emma Anzai of Sick Puppies performing at Hollywood Casino Amphitheatre. Photo by Sean Derrick/Thyrd Eye Photography. While it is always a blast choosing my favorite photos from the year I would like to give a shout out to my wonderful staff and let them know what my favorite photo from their collection of shots for the year were. 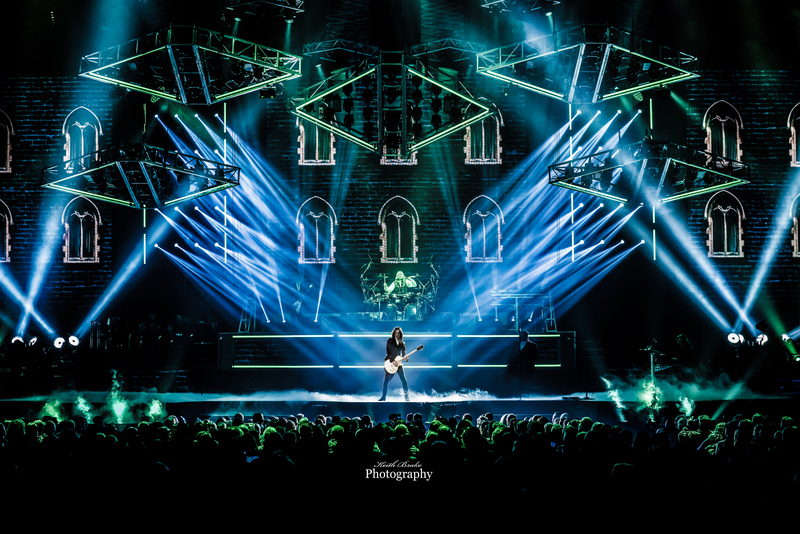 Trans-Siberian Orchestra performing at Scottrade Center. Photo by Keith Brake. 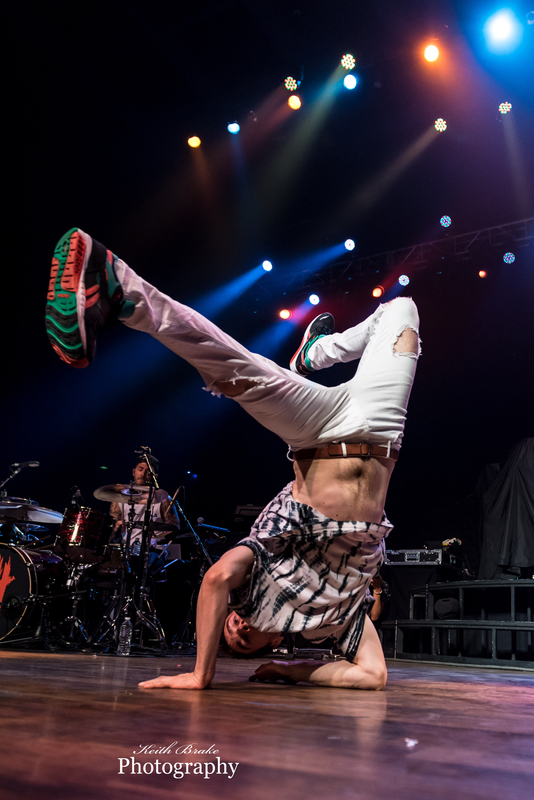 New Politics performing at Hollywood Casino Ampitheatre. Photo by Keith Brake. 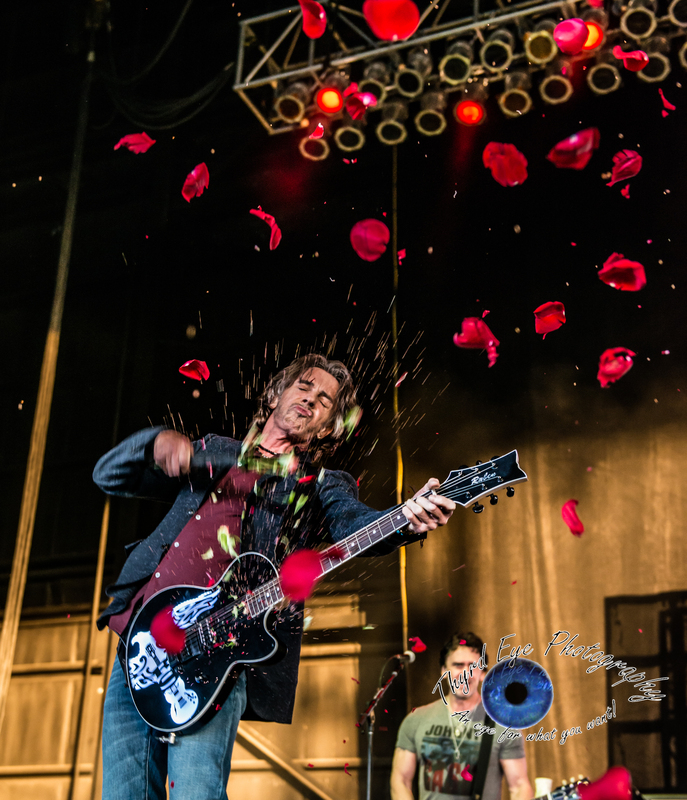 Or the guitarist looking like he is having a hair-raising good time, great job Keith. Keep them coming! I love Ryan’s artistic interpretations at shows. He knows how to get the angles and deliver emotional pics. 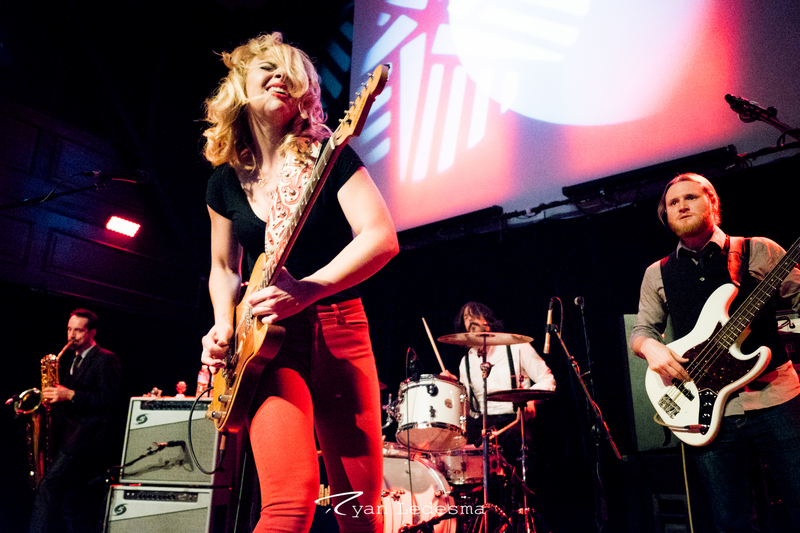 I especially love the raw energy his pic of Samantha Fish brings. Samantha Fish performing at The Old Rock House. Photo by Ryan Ledesma. Stacked Like Pancakes performing at Warped Tour at Hollywood Casino Ampitheatre. Photo by Ryan Ledesma. Ryan is getting a great feel for this gig. Great job, Ryan! Though Greg has only shot a couple shows with us we are excited to see what else he can bring in the next year with more shows under his belt. 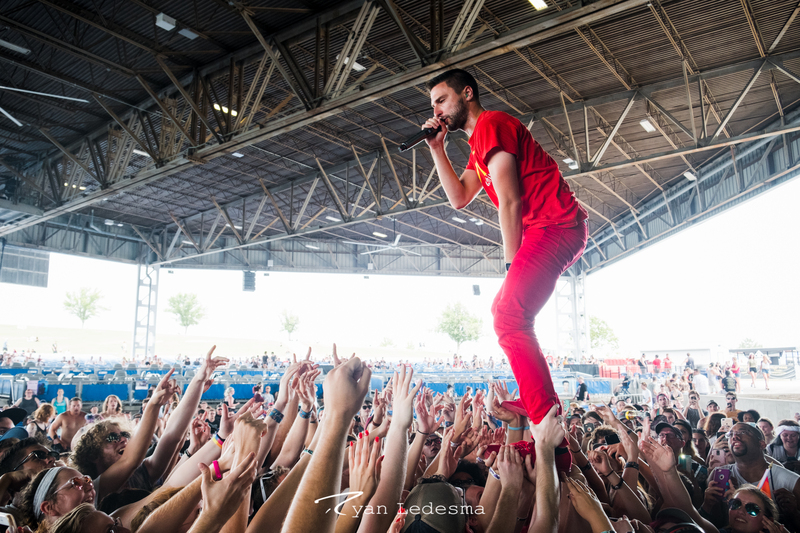 This is my favorite of the many shots he got in on the first day of Lou Fest. 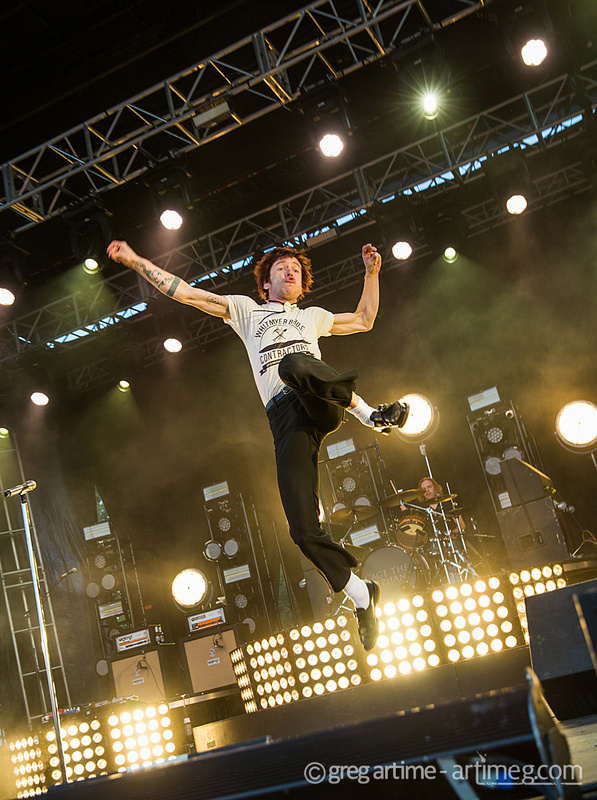 Vocalist Matt Shultz airborne is always a classic. Greta job, Greg! Cage the Elephant performing at Loufest in Forest Park. Photo by Greg Artime. Keith Brake has captured some amazing shots and I enjoy his Take on the show. 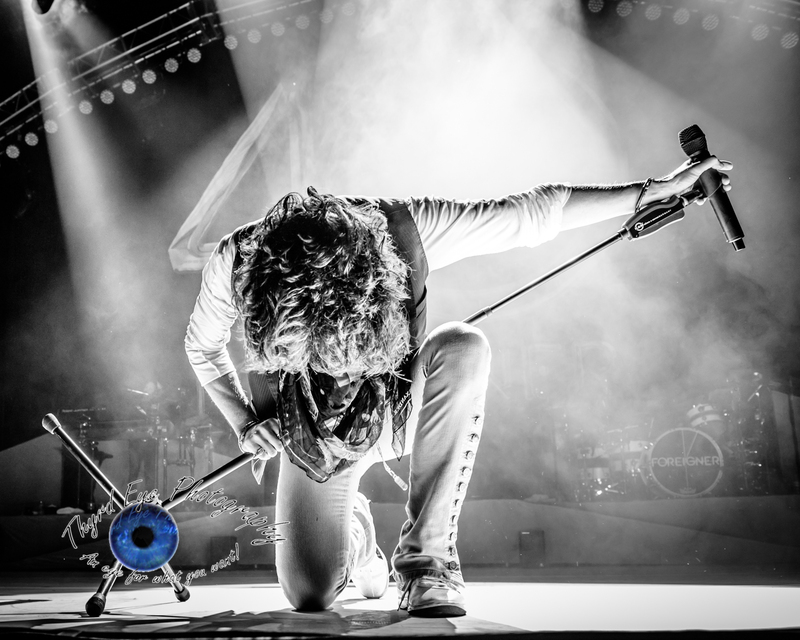 Keith Brake has a great talent for capturing those amazing moments on stage! Great photography! Keith Brake has much more than a fantastic eye. That eye paired with his reviews, puts you in that moment! It’s impossible to pick my favorite ONE. I could never be part of all this If not for Sean (the author of this article) taking a chance on me. I appreciate all the kind words very much. As can be seen in the first 10 images snapped by Sean, I am in tremendous company, and his talents along with the talents of the other staffers for Midwest Rewind keep me inspired and pushing.